A fireplace mantel can make the fireplace the focal point of your room, or cause the structure to blend into the background, allowing furnishings or other decor to take front and center, depending on the choice of design and materials used. When fires were first built in the home for warmth, the mantel protruded above the fire to catch the smoke released from the fire. With innovations over the years, the smoke is now drawn out of the home through the chimney, allowing the mantel to be used more as a decorative option. The mantel may stand out to place focus on the fireplace itself or it may reach up to the ceiling. Decorative items may be placed on top of fireplace mantels that you can change with each season to vary the look of the room. Family portraits or other artwork are often hung over fireplace mantels for varying appeal. Whatever style you choose, a mantel should personify your individual tastes. 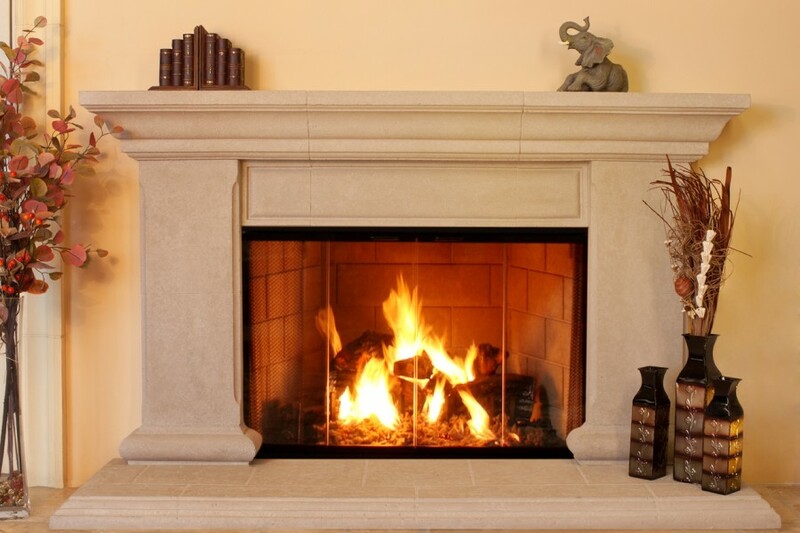 Make SoCal Fireplace Mantels your first choice for custom fireplace mantels in Los Angeles. Choose from a wide range of mantels in a variety of styles and materials. Whether you are looking for rustic fireplace mantels, a more contemporary design, or something more traditional, you can find what you are looking for. You can also speak with one of our design experts to create the custom fireplace mantel of your dreams.